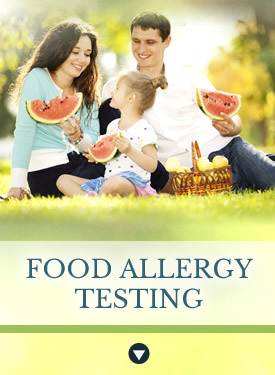 Optimal Health Family Chiropractic & Wellness Centre is now offering in house Food Sensitivities Testing! Are you noticing any of the following changes in you or your children? Have you ever considered a Food Allergy to be the root cause of these issues? Many people don’t often look to address food allergies when symptoms arise. However, delayed food reactions are becoming increasingly prevalent and present themselves in the form of what seem to be unrelated symptoms. Managing food sensitivities can make a world of difference in your everyday life. We are offering a variety of different panels based on your individual allergy concerns to help you determine food sensitivities and allergies. Please contact our office to schedule your Allergy Panel testing with our Registered Holistic Nutritionist.